I posted this recipe a while back but since it’s one of my favorite recipes (not taste wise because of the saffron that I’m not very fond of) I chose to cook it on my web show “The Coffee Maker Chef” (now with subtitles). 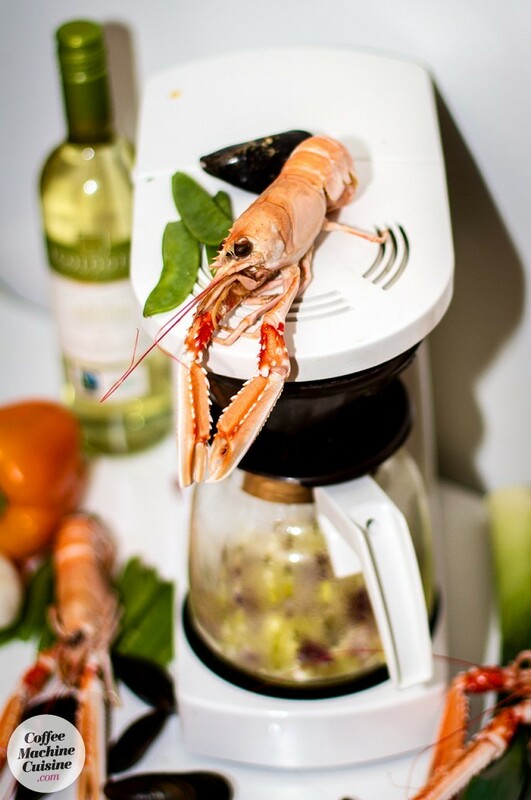 Here’s how you prepare a luxurious fish and shellfish soup with a coffee maker! Start your coffee maker. Melt the butter in the coffee maker carafe and fry all the chopped onions for about 30 minutes. Meanwhile scrub the mussels and sort out the ones that’s crappy. 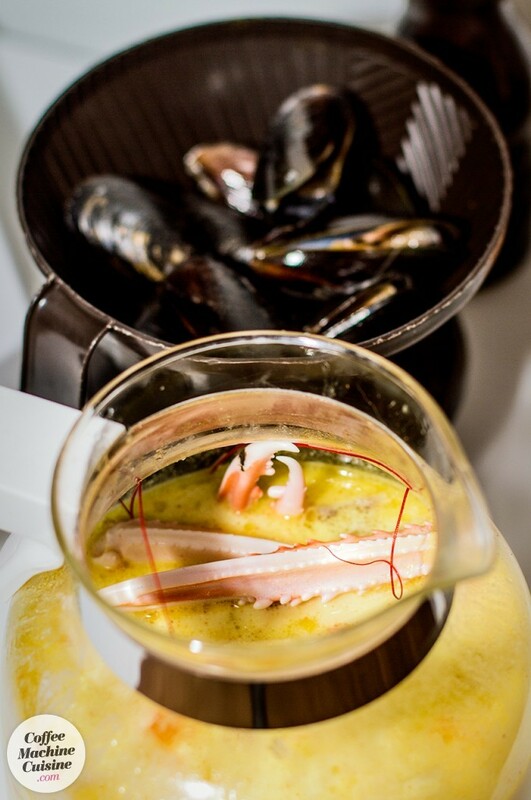 Pour cream, fish stock cube and wine in the carafe, place the mussels in the filter thingy and pour water into the coffee brewer. 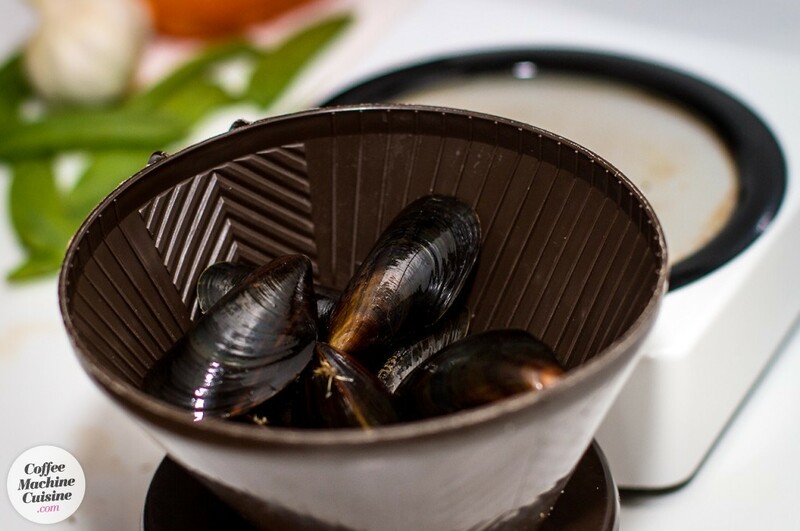 Now the mussels will be cooked perfectly in the filter holder. Amazing, right!?! Let it coffee maker cook for at least an hour so it gets really warm. Season. 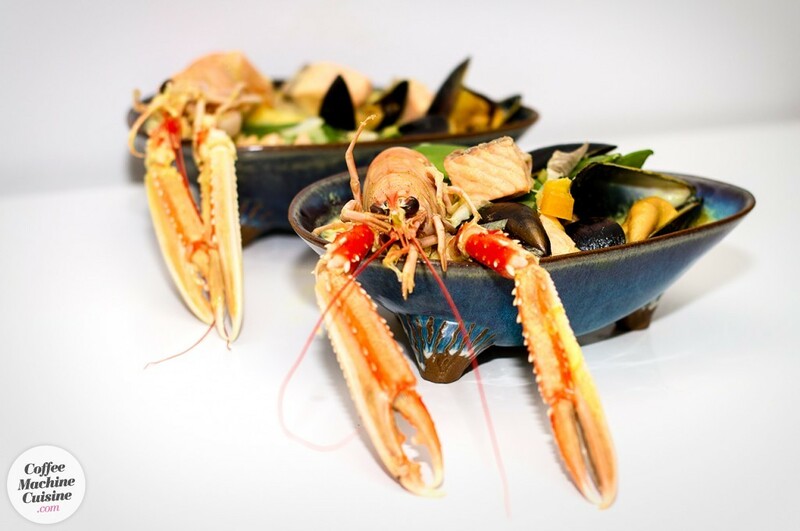 Add Norway lobsters, prawns, and the mussels a short while to improve the taste even more. Finally add the fish pieces, the crispy bell pepper pieces and sugar peas. Let it coffee maker cook for another 10 minutes – or until the fish is ready. Turn off your coffee maker and serve this delicious (?) 100% coffee maker cooked dinner. This is so clever. I’m like a geniuse!